Tunics - timeless, classic and chic. No matter the times, a tunic is always on trend! These oversized tops are the perfect way to transition into the fall season for any shape, size or age! Although tunics can be worn year round, these are best worn when you throw a pair of comfy jeans or leggings underneath and call it a day! 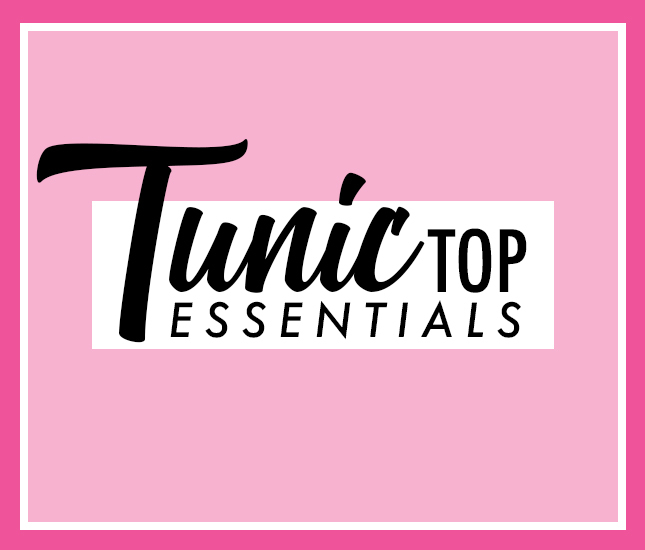 Take a look at some of our favorite tunics, as we've broken them into 3 sections - cozy, outerwear, and casual work apparel - to see which tunic best fits your needs! Some of my favorite clothes happen to be oversized, fuzzy and cozy. Luckily, Marleylilly has no shortage of clothes like that! Cowl neck tops are on the rise this season with their extremely flattering necklines, which is why we are stoked to have them! Not only are they flattering, but when they come in the sherpa material, we just can't resist. Our Heathered Sherpa Turtleneck Tunic gives you to best of cozy worlds with a drawstring at the neck to make it as snug or loose as you'd like. If you're looking for cute and comfort, the Monogrammed Sherpa Pullover Tunic is your go-to quarter zip. Not only does it have irresistibly fuzzy fur on the outside, but also on the inside. It's the perfect length for a pair of leggings and monogrammed boots! Need some quick and easy outerwear?! Throwing on an outdoor pullover tunic is one of the simplest ways to add a different edge to your look. These are easy, casual and more pulled-together than any sweats in your closet! Whether you're out running errands, or staying warm in your home, our Colorblock Cowl Neck Tunic is something that is sure to catch some attention. This tunic features thumbholes and a cozy cowl neck and when paired with Monogrammed Duck Boots, you will surely be prepared for the outdoors. Another Marleylilly favorite is our classic Quilted Pullover Tunic. This tunic is available in a wide variety of colors and includes elbow patches creating contrast and detail on the pullover. This tunic is specifically flattering to all body types, as it cinches a bit in the waist, creating an hourglass effect. These amazing picks from ML are just what you need to elevate that work wardrobe. The unique thing about these choices is their versatility; you are able to dress it all the way up or dress it down for a more casual look. The Leopard Sweater Tunic is one of our favorites because you can throw it on and immediately elevate your look with its distinctive and trendy print. Along with the trendy animal print, Chenille is something to look out for this season, as it is unbelievably cozy yet its fabric sophisticates a look. Our Chenille Sweater Tunic features a detailed hemline and can easily be accessorized with a pair of statement earrings, dark jeans, and booties. Tunics have become a fashion staple over the years because of their comfort, versatility, and uniqueness. Whether you're in the market for some lounging clothes or something to elevate your work wardrobe, you are sure to find one at Marleylilly to best suit your needs!